St. Olaf has been ranked as one of the best liberal arts colleges in the country and has some of the best athletic facilities to go along with it. Campers will compete at the Mabel Shirley Field, just a short walk to the swimming pool and indoor athletic centers on campus. Join us this summer! Check Out: Parents are invited to attend final scrimmages that begin with warm-ups at 2:00pm. The last meal is lunch. Check-out for ALL CAMPERS will occur back at the softball fields at 12:00pm. The nearest airport is Minneapolis-Saint Paul International Airport in Minneapolis, MN . You are responsible for getting yourself to and from campus, Revolution Softball Camps does not provide transportation. 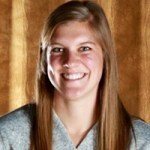 Kayla Hatting is entering her 2nd full season as head softball coach at St. Olaf College. Hatting spent the previous two seasons as a graduate assistant at Division II Augustana University in Sioux Falls, S.D. She coached catchers and outfielders, helping the Vikings to a NCAA super regional appearance in 2015 as Augustana posted a 53-11 record, including a 28-2 mark in league play. In 2016, Augustana was 35-19 and 21-8 in the Northern Sun Intercollegiate Conference. Hatting was a two-time captain at Luther where she transitioned from a short stop in high school to an all-region catcher for the Norse, who reached the NCAA tournament each of her four seasons. She earned four letters as Luther won three regular season and four postseason Iowa Intercollegiate Athletic Conference championships.